North Korea on Tuesday informed South Korea of its delegation for upcoming inter-Korean military talks scheduled for Thursday, amid heightened expectations for the easing of cross-border tensions following a series of cross-border summits. 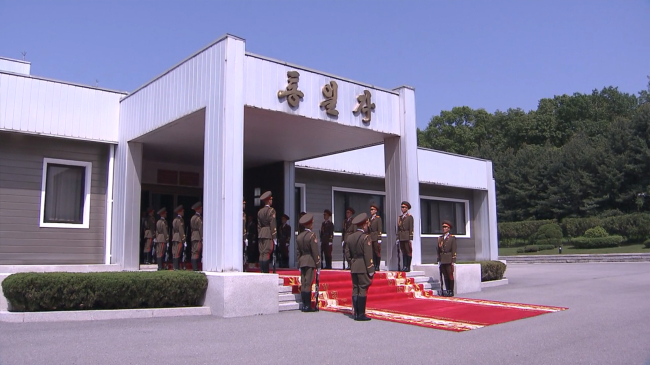 The announcement came a day after the Defense Ministry informed North Korea of its own delegation list. Five South Korean delegates will attend the military talks, led by Army Maj. Gen Kim Do-kyun, who deals with inter-Korean relations at the Defense Ministry. “We made a proposal (to North Korea) that (the two Koreas) will discuss military issues to ease military tensions on the Korean Peninsula and reduce the risk of war,” the Defense Ministry said in a statement.